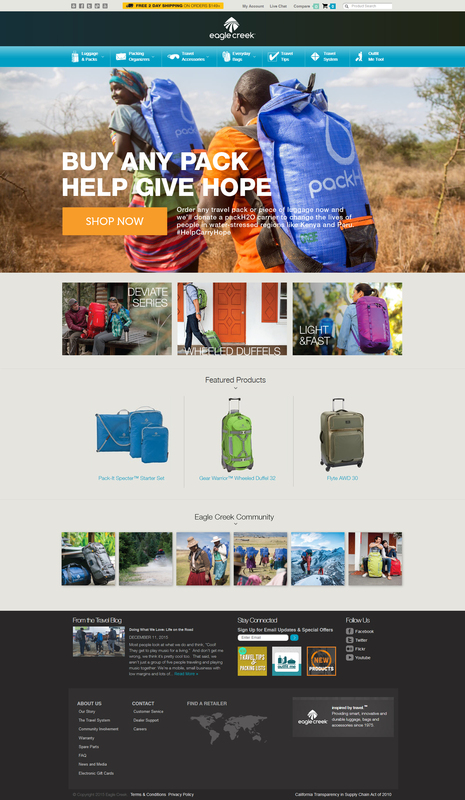 In collaboration with expert digital strategists 85SIXTY, our objective was to help Eagle Creek, a leader in premium travel packs and luggage, boost online sales in order to benefit this cause-based campaign by developing and deploying a new campaign built upon a partnership with packH20. Photography by Tony Cece for packH2O. 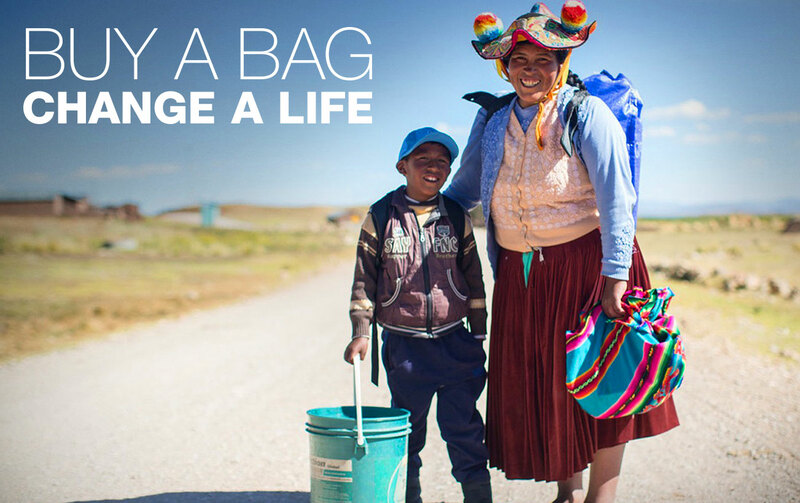 packH2O is an international health-focused organization that offers a unique product that promotes safer transportation and storage of water. Through the use of this functional water backpack, water-stressed communities have a tool to improve health and positively impact lives. Water-related diseases are responsible for nearly 80% of illnesses and deaths in developing world countries. This is largely due to the lack of a reliable means of carrying and storing water, causing citizens in these water depraved areas to transport their drinking water in heavy, contaminated fuel cans and other makeshift vessels. 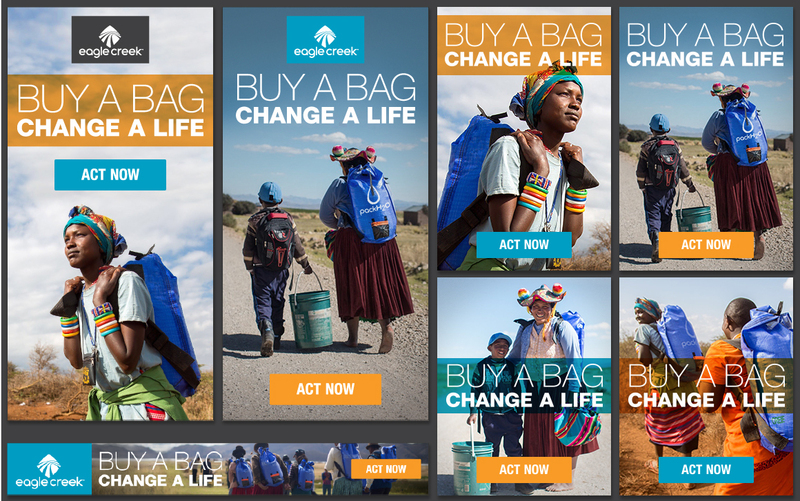 Eagle Creek partnered with packH2O for a special promotion where customers could donate a packH20 to communities in need whenever they purchased a bag from Eagle Creek. The core of the campaign was simple: When you purchase X, we do Y. 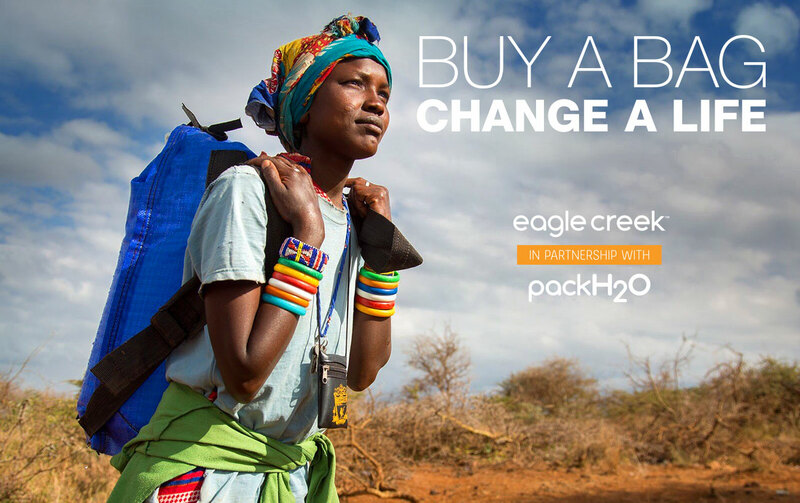 A simple message that highlights how purchasing a pack from Eagle Creek provides the gift of safer water to people in need.